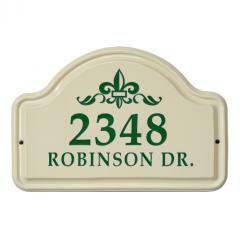 Classic Ceramic Address Plaques | Mailbox Collections, etc. Classic Ceramic Wall Plaques - available in four font colors and personalized to enhance your entry decor. Our ceramic wall plaques are hand made in the US and feature beautiful designs.